Lucky for me (not really luck; more by design), I have Melissa to keep my horses working in my absence and my son, Hunter, to keep them secure, comfortable and well-fed. 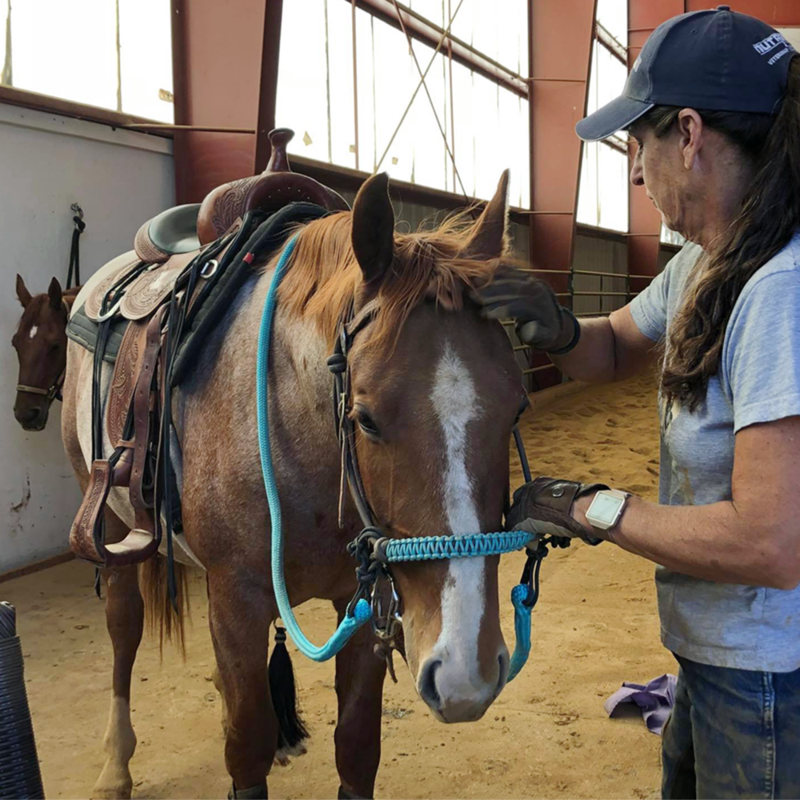 My horses live at home with us, and since I am on the road up to 150 nights a year, you can imagine how important it is to me to have people I trust to take care of the horses. So while Rich and I were gallivanting in Ireland for two of the past four weeks, my horses were still groomed, turned-out, exercised and well-attended every day. Annie is looking fit, sleek and is well-tuned, just in time for me to ride at the Ranch Riding Retreat at C Lazy U last weekend and at the CHA Conference coming up this weekend. Eddie is getting plenty of work, between Mel and Rich, and is a buff, handsome ranch horse. I’m proud of the bridle horse he has become. In anticipation of working cattle, they’ve been practicing together—Mel on her horse Booger and Rich on Eddie—shadow-boxing to practice their cutting moves. And then, there’s Pepperoni, the star of the show. I’ve only worked with him a handful of days, but I continue to marvel at what a great mind he has. He’s curious, brave, eager to please, but quick to out-think you, if you’re not careful. He’s very athletic and forward, traits that are important to me in a horse. We’ve gotten lots of great feedback on The Adventures of Pepperoni video series on my YouTube Channel, and we plan to continue the series. So be sure to subscribe so you don’t miss an installment. I’ve started riding Pepper in the indoor arena and he hasn’t missed a step. I’ve been working on bitting him up, which I talk about extensively in my podcast this month. My #1 horse, Dually, has been relegated to semi-retired. His performance days are over, but he will always be #1 around here. We parade him in front of the camera periodically, so he still thinks he’s a rock star. He gets the best dressing room AND the blue M&Ms!